The 2019 Collection Calendar is Available Here! Please put your Christmas tress out by the curb (do not put them in a bag). DPW crews will collect them the week of January 7, 2019 and January 21, 2019. 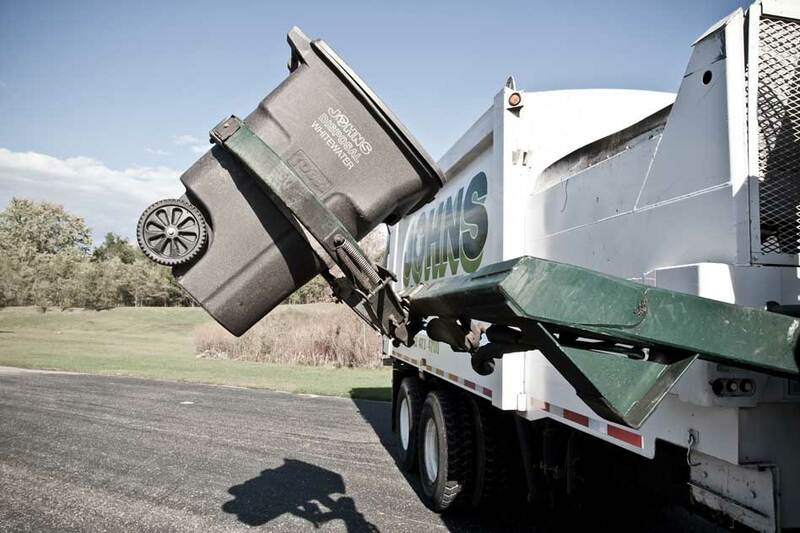 Johns Disposal will remove bulk and large items from residential properties in the Village for a small fee. Please make arrangements with Johns Disposal if you would like them to remove large items by calling 262-473-4700. Johns Disposal will offer a subscription yard waste collection to all residents from April 1 through November 31 annually. Yard waste may not exceed 2 bags or containers per week per home. The cost of the program is $115 annually. If you are interested in enrolling, please call 262-473-4700. Q: What day of the week is collection? A: Garbage is collected every Monday, recycling is collected every other Monday. The 2018 Collection Calendar is here. Q: Which tote is garbage and which is recycling? A: The brown tote is garbage, and the green tote is recycling. They are labeled on top of the lid. Q: Where do I place the containers for collection? A: All carts must be placed at the end of your drive way, or in the grass between the sidewalk and road, next to your driveway to ensure collection. Please make sure they are within 2 feet of the street and at least 6 feet from any vehicle or other object. Q: Is recycling collected every week? A: NO. Recycling is collected bi-weekly. Q: The carts are too big, I will never fill 96 gallons – are there any other sizes? A: You can contact Johns Disposal directly to have a smaller cart delivered. Q: What can I put in the recycling tote? A: This guide tells you what you can place in each container. Q: Can I place extra bags next to my totes for collection? A: No. Due to the automated system that is used, all materials for collection must fit inside the container. If you have extra, please save it until the next collection, or ask your neighbor if they have room. If you have bulk items, please schedule a special pick-up. Q: What happens if somebody parks in front of my totes after I put them out? A: The driver will get out and move the cart to a location where he can access it with the automated arm. Please find a location that would avoid this situation. Q: Where do I put my car when there is snow in the way? A: We suggest that you shovel a small area on either side of your driveway in the grass between the curb and street. This will ensure that you always have a level and easily accessible location to place your totes. Q: What if they miss my home on collection day? A: Either call Village Hall at 262-783-2525 or Johns Disposal at 262-473-4700 to report the missed collection.